A lesson in Japanese language PLAYS. Except for the audio coming from a laptop the room is still, curtains half open, barely shedding light onto the lone bed. A young man enters the room. He leans over to the still figure in bed (shadows keeping her from view) and kisses her. I found a new pair of sticks for you. They say they were made from lava rock. He turns off the Japanese lesson and walks over to the windows, fully opening the curtains to fill the room with light. 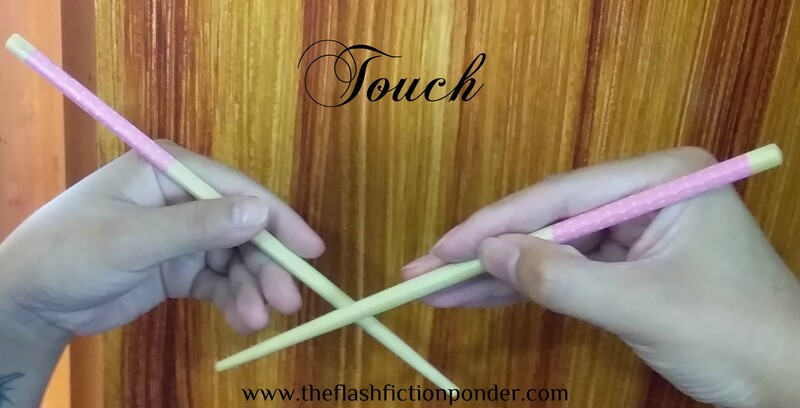 Taking a pair of chopsticks from the inside of his coat pocket he sits down by the bed and places them in his love’s nonresponsive hand. says you can sometimes still feel the heat. His hand cupped around hers, he looks at her. (We slowly tilt up to her face as the MUSIC starts. She’s young like him, but in a vegetative state, her mouth hanging open, eyes staring out into nothing. He gently brushes her hair from her face. The young man looks at her with an undying love. Lit from below, the band PERFORMS. Close-up of the young man’s hands holding and gently caressing the hand of his love. Close-up of her hands gently holding and stroking his. Sitting under a tree they hold each other. She’s beautiful and healthy. Extreme close-up of the young man right above his love, face-to-face, foreheads touching. The young man and his love during happier times, CrossCutting between them and the band. The young man and his love finish securing the back to a large frame. He turns it around. Beautifully encased in glass, a showcase of chopsticks. From hand-carved to hand-painted, a variety is shown. She kisses him. They admire the collection. You know, I’d love to learn Japanese someday. She playfully hits him with a pillow. They both laugh. Extreme close-up of an x-ray of a brain. Pull back on a doctor going over it with a pointer. The young man stands by his love, who wears a hospital gown and is seated on an examination table. They look at each other, speechless. Already losing her mobility, the young man helps his love as she tries to walk between a pair of parallel bars, a therapist nearby. Seated up in a hospital bed, the young man’s love is near a vegetative state, her mouth already hanging semi open as she fights to try to chew the soft food he spoon-feed’s her. His love in her vegetative state, the hardships the young man is going through shows on his face, his head resting on her stomach. how ’bout touching our hearts?